St. Joseph Cathedral is one of four stops on the Great Hallelujah Holiday Tour, presented by Columbus Landmarks and Classical 101 on Dec. 2. 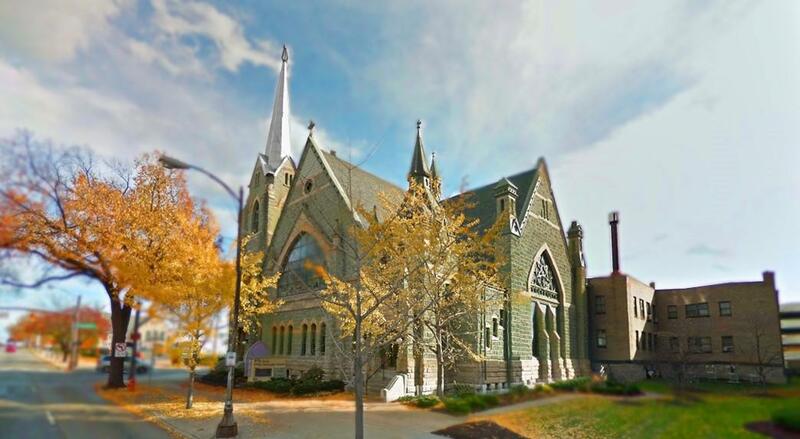 Bundle up, put on your walking shoes and get yourselves ready for a tour of four beautiful downtown Columbus churches and an afternoon of music in sacred spaces. The Great Hallelujah Holiday Tour is a great way for you to get in the holiday spirit and support Classical 101 at the same time. Join Columbus Landmarks and your favorite Classical 101 hosts Saturday, Dec. 2 to hear seasonal music and learn about the architecture and history of some of the landmark churches along Broad Street. We'll be visiting St. Joseph Cathedral, Trinity Episcopal Church, Broad Street United Methodist Church and First Congregational Church. 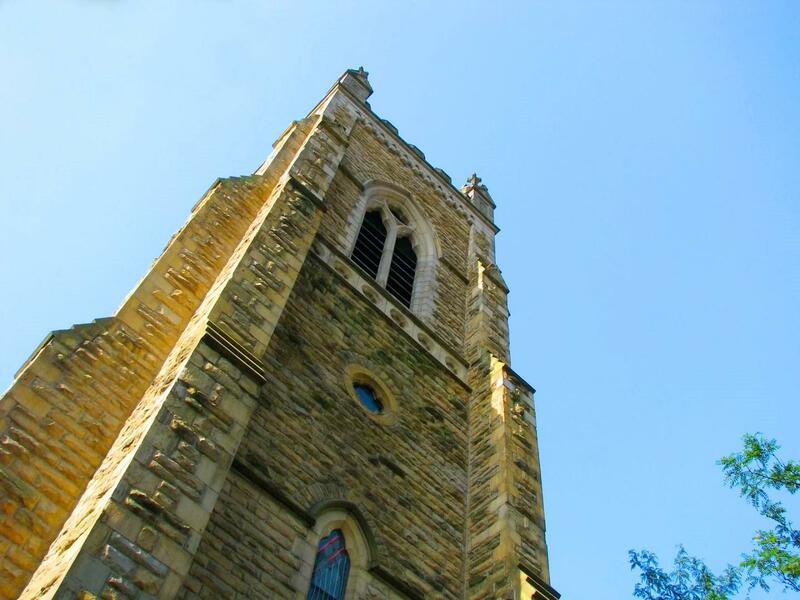 Each of these downtown churches offers significant architectural beauty and fine music programs. We'll be experiencing both beginning at 2 p.m. Dec. 2. At each stop, you'll learn about the architecture, the history of the buildings and their modern mission. First Congregational Church houses not one, but two magnificent pipe organs. Kevin Jones is the minster of music at First Congregational Church, and he'll be demonstrating these great instruments for us Dec. 2. At Broad Street United Methodist Church, you'll not only enjoy a beautiful space — you'll be singing! Music director Gary Everts will lead the Broad Street UMC choir in a Christmas anthem as part of a community carol sing. And what would the holidays be without bells? Kevin Wines, music director of Trinity Episcopal Church on Capital Square will offer a performances by Trinity's carillon bell sexton, Nick Tepe. These four congregations are part of the Classical 101 family, hosting concerts that have been featured on Music in Mid-Ohio, as well as the occasional live broadcast. At the conclusion of the Columbus Landmarks tour, Classical 101 donors will enjoy a members-only reception at The Columbus Athenaeum. There'll be refreshments, hors d'oeuvres, the company of Classical 101 hosts and music provided by the Chamber Music Connection. Make a year-end contribution to WOSU Classical 101 before Nov. 27, and receive two tickets to the Great Hallelujah Holiday Tour and Classical 101 reception as a thank-you gift for qualifying donations. Early Music in Columbus presents Fior Angelico in concert at 8 p.m. Friday, Nov. 17 at St. Joseph Cathedral in downtown Columbus. The program, "Spanish Songs for Lamentation and Rejoicing," features music by Francisco Guerrero, Alonso Lobo and Tomás Luis de Victoria. Fior Angelico, a Columbus chamber chorus of 16 singers, has typically performed annual concerts since its formation in 2006. The early music ensemble takes it name from Fior Angelico di Musica, "The Angelic Flower of Music," a 1547 music theory treatise by Fra Angelo da Picitono. I know, I know. Another seemingly sensationalistic claim tossed out into cyberspace like so much line at the fishing hole. Sure, winning the lottery can change your life — but a piece of music? Of course. Even the most hardened Hannibal Lecters (remember the Goldberg Variations scene?) know that music does something deep inside us. Allow me to rhapsodize for a moment about some music that, I believe, does the human heart good.